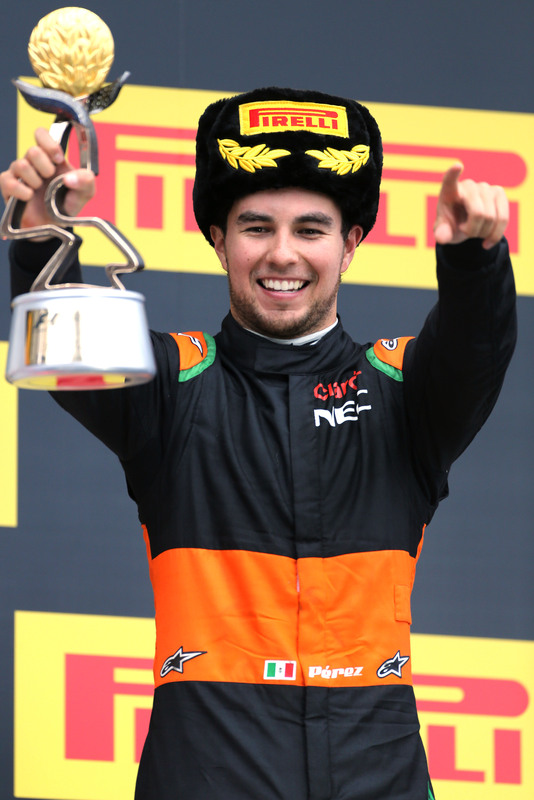 Sergio Perez celebrates his third position on the podium. 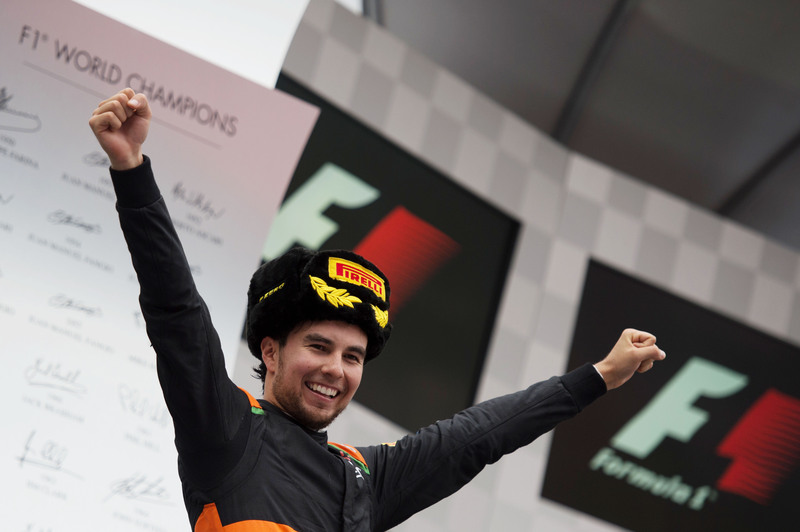 Sergio Perez raced to a well-deserved podium finish in today’s Russian Grand Prix to score 15 world championship points. Team mate Nico Hulkenberg retired on lap one after spinning at turn two.